We have been operating since 1997 catering to various industries including V8 Supercars, all types of Motor Racing, Motor Bikes, Aviation, Marine, Street Cars, Hot Rods and Restoration enthusiasts, being Company or Individuals, etc, giving our customers the edge over the Competitors. Having been in business and operating for over 10 years, it makes us by far THE MOST EXPERIENCED Ceramic Coating company in Queensland. We are a small business offering a personal service to Companies, Businesses, Clubs and Individuals modifying or restoring their own Pride and Joy. If you are looking for a Ceramic Coating Specialists we are the answer. COMPETITION COATINGS QLD offers you a quality product, a level of service of the highest standard, with competitive rates. 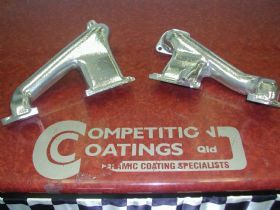 Please take a moment to peruse our website at www.competitioncoatings.com.au. 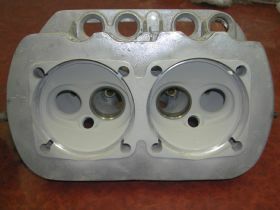 Should you wish to use our service or you have any queries regading our services, please do not hesitate to contact us. The Headers and muffler that you coated for my Buell Lightning. I have ridden about 600km so far with absolutely no discolouration. The pipes are definitely cooler to touch after a long ride. So all in all I am very impressed, both with the quality and price. I wont hesitate to push your product. So far the car has gone 9.96 @ 136 mph on pumpgas. 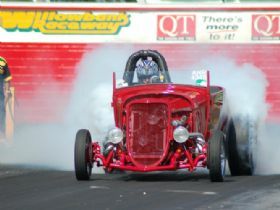 Thanks again for all your help with the coatings , it really does finish the car off well.